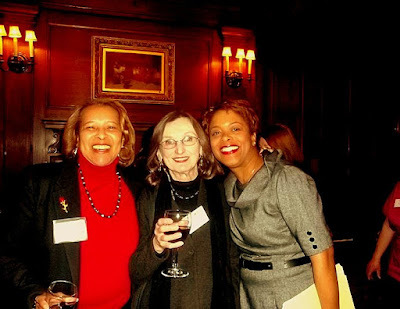 The Next Stage: Women and Retirement: I never expected to attend events at the Union League. The world has changed! I never expected to attend events at the Union League. The world has changed! 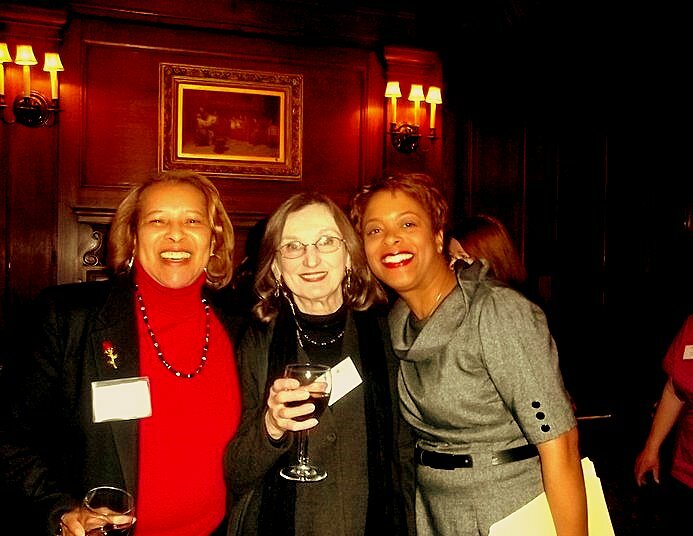 Here I am with good friends Rosa Woods and Cindy Bass at (of all places) the Union League. I have lived in Philadelphia all my life but never set foot in the Union League—nor particularly wanted to. When I was a young woman I considered it enemy territory—a bastion of elite white male privilege. But my sense of alienation was not just because of racial and gender exclusion. Despite some very mixed feelings about the union that represented me, I have always identified with labor rather than business interests. In the 70’s when local feminists were waging their battle to integrate the Union League, I was hanging out with folks who wanted to overthrow capitalism rather than fight to ensure women and minorities a seat at the table. Capitalism is in little danger of being overthrown and in this country the vast majority of jobs are created by the private sector. Regulating and distributing the fruits of capitalism is still my goal but being reflexively anti-business doesn’t make a whole lot of sense. That said, my distrust of the business elite and my sense of the Union League as alien territory persists. So when my good friend Arlene Bennett suggested having a fund-raiser for City Council candidate Cindy Bass at the Union league I was taken aback. The Union League??? Arlene is a member of the Union League and could easily arrange this. Despite all my reservations, it was a great event and it was wonderful to see all those women, especially all those African-American women, at the Union League event. My city has come a long way since the bad old days of my youth. So yes, we have made progress (although there is still a ways to go) in the struggle for gender justice and racial justice. In the struggle for economic justice, not so much. The business elites that in the 70’s and 80’s resisted admitting women to clubs like the Union League were not as viscerally anti-labor as at least some segments of the business elites are today. Thanks for the link! It's far worse than I realized. Sometimes we need our lately-ethereal progress to be made concrete. So here you are, glass in hand, against a glowing backdrop of well-tended paneling. You're Isak Dinesen strolling purposefully and elegantly into the Men's Club in Nairobi, only better. Much better. Author of this post was very happy to be the part of event of the union league. According to her world has changed and now almost everyone can participate in such events except seats will be finish. Actually, I want research paper writing service reviews and next time i must try to participate in this event. From Fran Waksler: What Should I Read Next?